DAV Alok Public School, Pundag is having several number of buses with barred windows for the safety of their students. It provides transport facility almost all possible route of ranchi city. 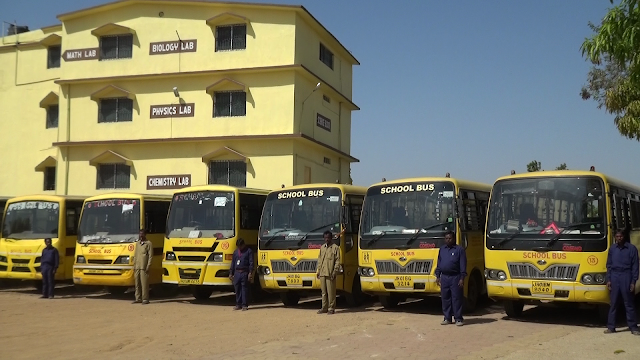 The Bus facility has been provided to students for their easy conveyance. The routes designed by the school management covers shortest distance and minimal time to all parts of the city. The conductors and bus drivers are specially trained to drive safely and take care of the childrens while driving.